The Love Grows Collection features the vibrant artistry of Sally Sharp's whimsical birds, mated for life, perched on a fanciful tree limb. Here the artwork is silk-screened on the silky front panel. Additional design and function features include a slip pocket on the back, a cross engraved zipper-pull, a sewn-in carry handle and a pen loop inside of the case. The Medium size accommodates Bibles such as The Holy Bible, NLT Reference Editions, Daily Study Bible for Women and The Life Application Bible - Personal size, or other books and Bibles up to: 6 5/8" x 9 5/8" x 1 3/4".Choose Size. Books and Bibles come in many sizes. Measure yours to ensure the perfect fit. 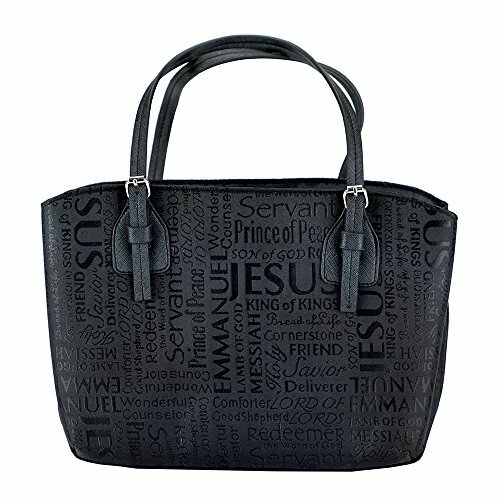 This beautiful black purse style Bible cover looks like a handbag by design with its two handles on the top sleek, stylish design. The handles make for easy arm or hand carrying. 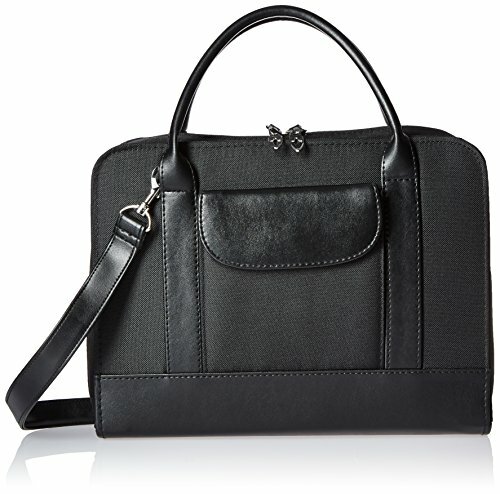 The Bible carrier is made from saffiano style LuxLeather man-made material making it durable as well as attractive. 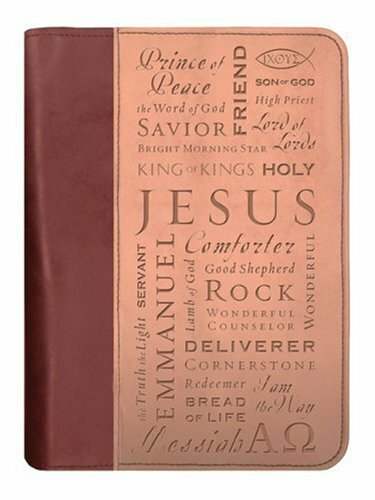 This Bible case makes the perfect gift for those who are avid readers but who may also want to make a statement with a beautiful accessory. Much attention is given to the details in this case. 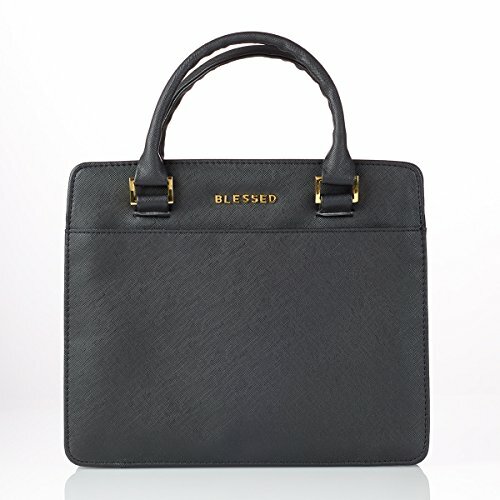 The outside of the case features the word Blessed in beautiful gold lettering. The gold zippers on the outside of the case also feature the word Grace stamped on them, reminding the user that its by grace we have been saved. The inside of the case features 3 clear pockets, a zippered mesh pocket, and a pen loop. The zipper enclosure on this bible case purse will keep your Bible and notes safe and secure and opens up to lay completely flat. 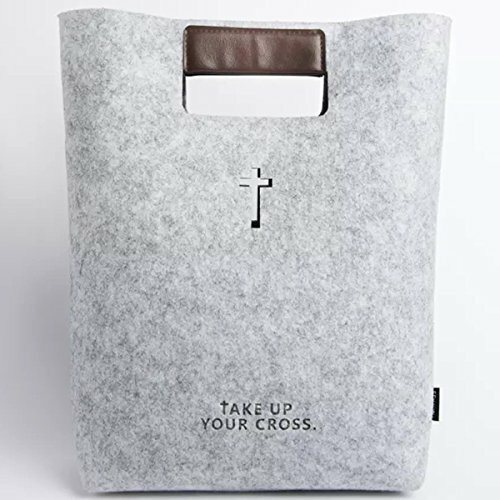 This purse-style Bible cover comes in sizes Large and Medium.The Large size comfortably holds all popular Bibles such as The New Spirit-Filled Bible, The Life Application Study Bibles and the NIV Study Bible, as well as many other books and Bibles up to: 7" x 10 1/8" x 1 7/8". Books and Bibles come in many sizes. Measure yours to ensure the perfect fit. 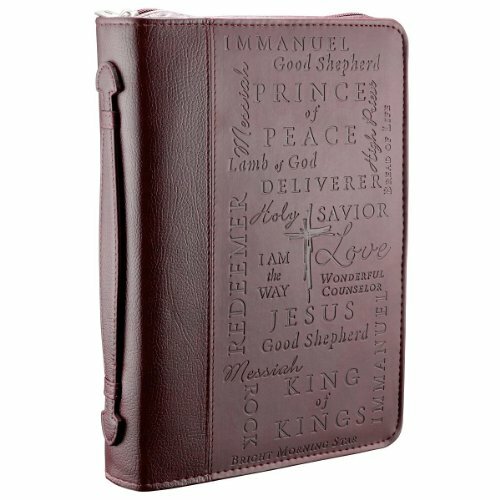 The ultimate in Bible study accessories, this unique case was designed specifically to help keep you organized in style. The interior Bible case is detachable for easy use and easy storage. Bellow pockets can be used to hold Bible Study materials, notepads, and bulletins. Some other distingushing features include a detachable and adjustable shoulder strap, an exterior flap closure pocket, a small pad of note paper, a pen, and a hightlighter. Available in coal, chartruese, aqua, and pink. 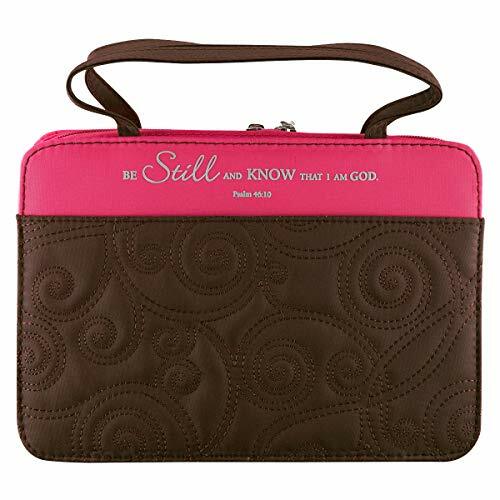 Pink and Brown Micro-Fiber Purse-Style Bible Case has raised screened-printed text from Psalms 46:10, patterned quilt-stiching, slip pockets on the front and back and cross engraved, dual zipper-pulls. Inside is the convenience of a zipped mesh pocket and a pen loop. The Large size comfortably holds all popular Bibles such as The New Spirit-Filled Bible, The Life Application Study Bibles and the NIV Study Bible, as well as many other books and Bibles up to: 7" x 10 1/8" x 1 7/8". Books and Bibles come in many sizes. Measure yours to ensure the perfect fit. This dual-texture Bible / Book Cover features the many names that we call Jesus, beautifully scripted in debossed text. The burgundy Bible / book cover is constructed of quality man-made material imported from Italy, with the look and feel of real leather (trade name LuxLeather). 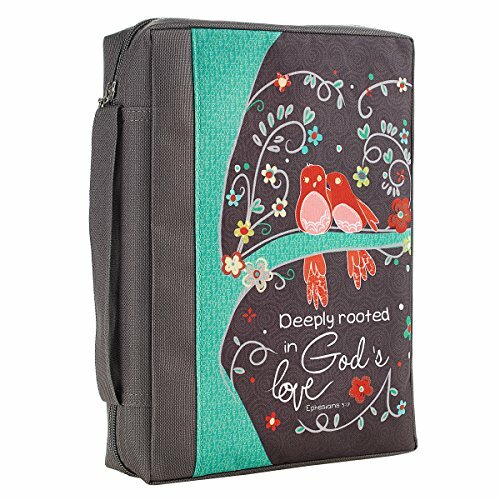 There is an exterior zipper with a cross engraved zipper-pull, a convenient lay-flat spine handle and 2 pen loops inside.The Large size comfortably holds all popular Bibles such as The New Spirit-Filled Bible, The Life Application Study Bibles and the NIV Study Bible, as well as many other books and Bibles up to: 7" x 10 1/8" x 1 7/8". Choose SizeBooks and Bibles come in many sizes. Measure yours to ensure the perfect fit. Want more Jesus Bible Cover similar ideas? Try to explore these searches: Animal Control, Dutch Oven Accessories, and Frog Frame.